Worldschampions in fivegait YR: Máni och Prestur. 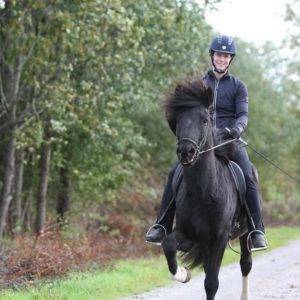 The A-finals in fivegait F1 for young riders went off today. 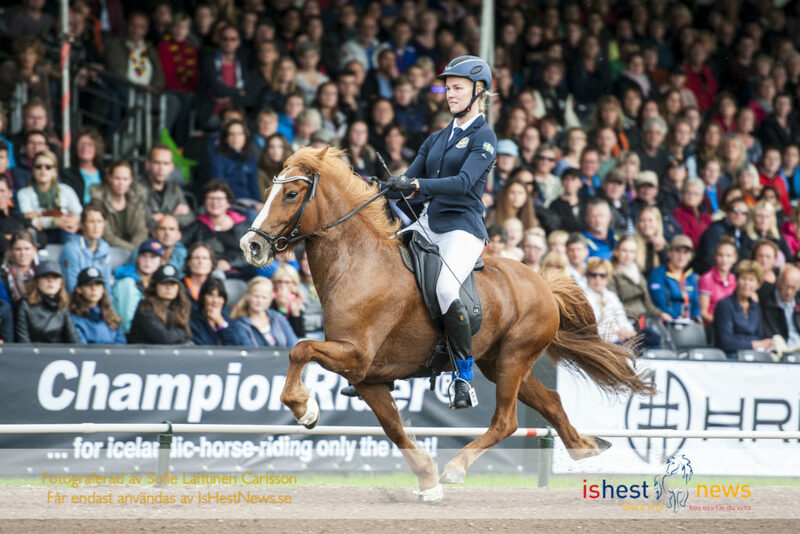 There were two swedish riders in the final, Elsa Teverud with Bida from Rip and Pierre Sandsten Hoyos with Geisli from Svanavatn. Pierre and Geisli were in the lead before the the pace. Máni Hilmarsson with colorful Prestur from Borganesi made three fantastic pace performances and was rewarded with the score 8.17. Then the victory and WC-title were secured. And then bronze to Sweden through Elsa Teverud and Bida from Rip who made safe fast passes and also got really good scores for tölt and trot. They got the final score 6.17. Congratulations everyone. 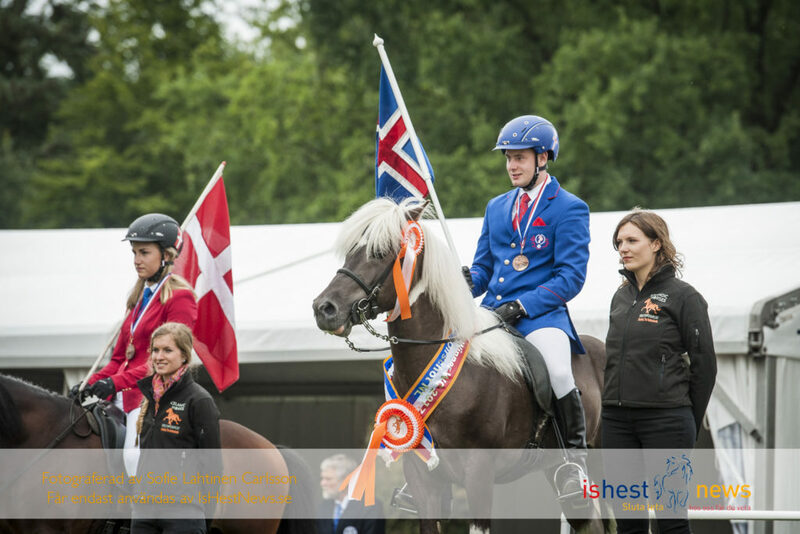 Sasha Sommer and Kommun fra Enighet from Denmark took silver with 6.41. Unfortunately, both Pierre with Geisli and Andrea V Thunem and Baugur from Tunguháls from Norway were disqualified, why we do not know. Probably Pierre and Geisli had won the silver medal otherwise.